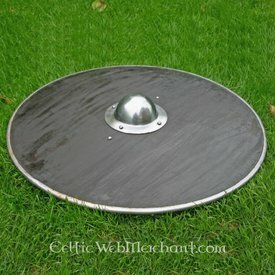 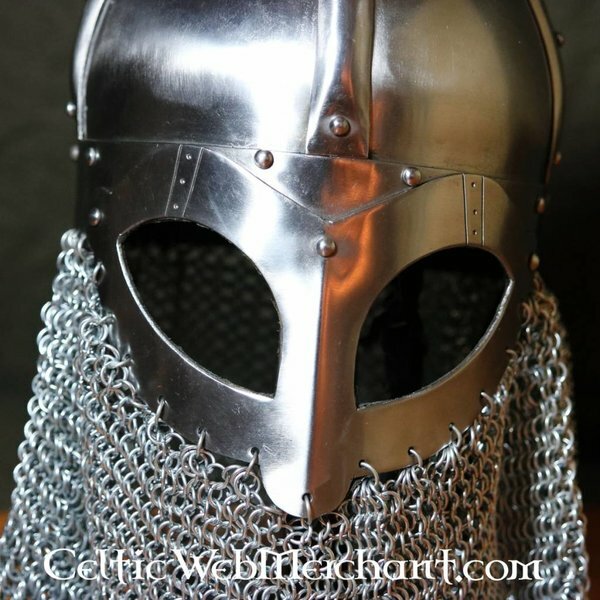 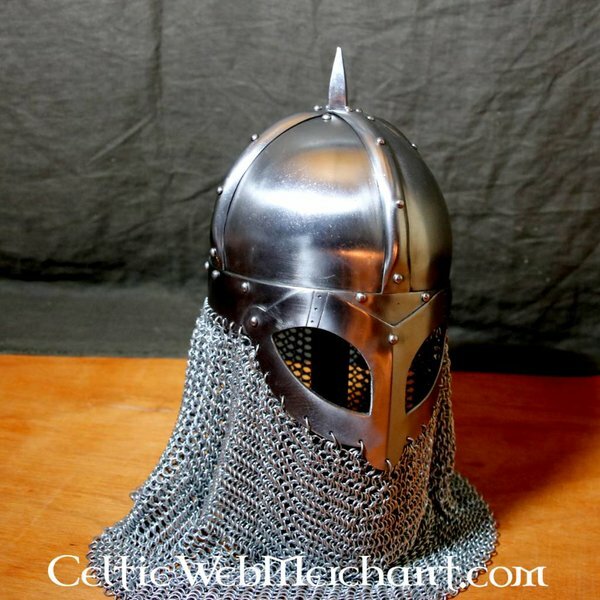 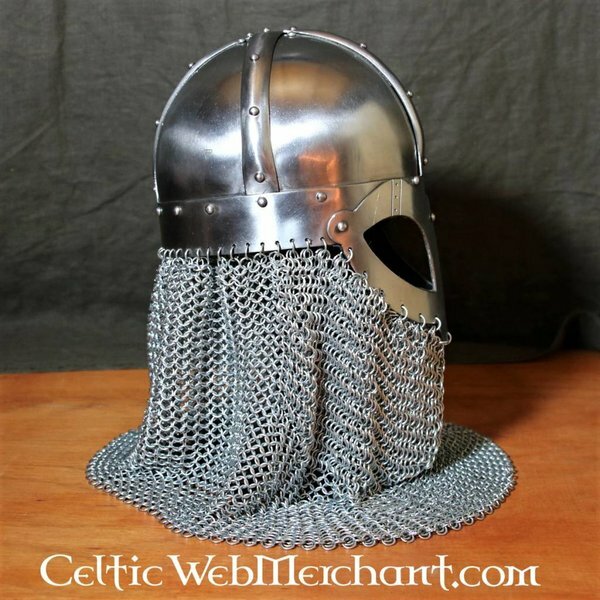 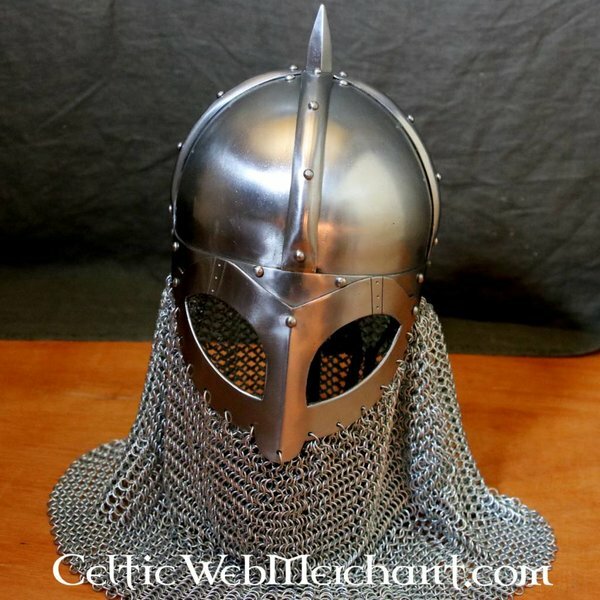 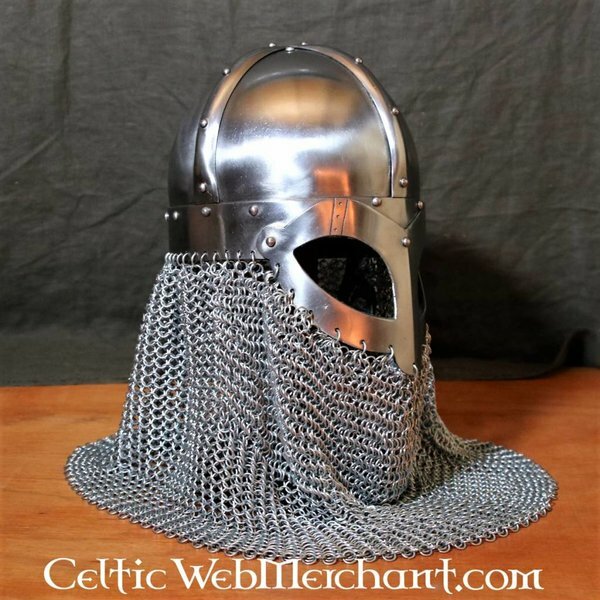 This is a battle-ready replica of a Viking helmet that was found in a tumulus in Norway, the original is from the 10th century. 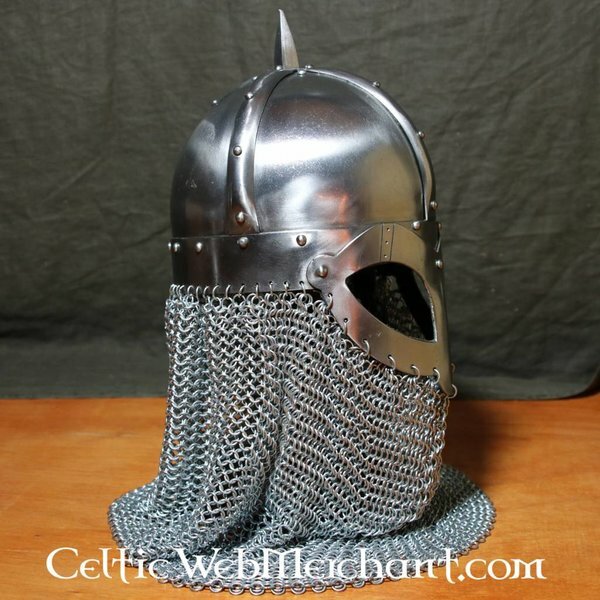 The original model was broken into nine pieces and reconstructed and can now be seen at the Statens historika museum in Oslo. 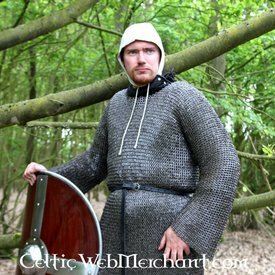 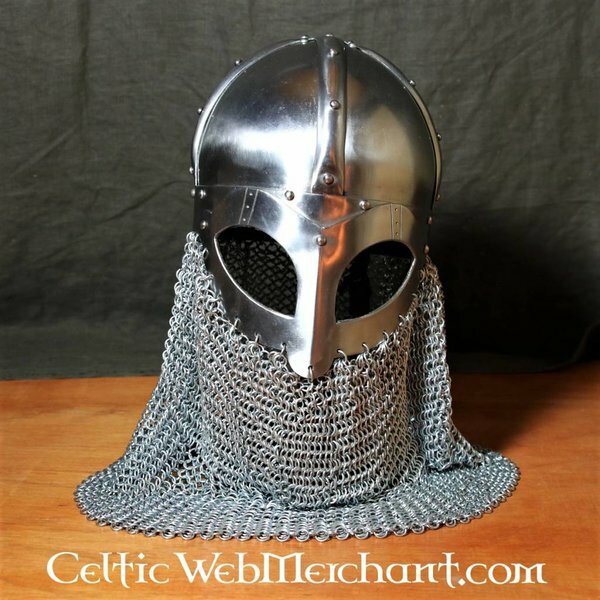 The glasses protect both the eyes and the nose, while the chainmail offers the throat and the neck a flexible protection. 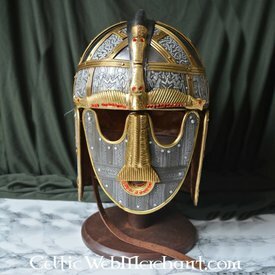 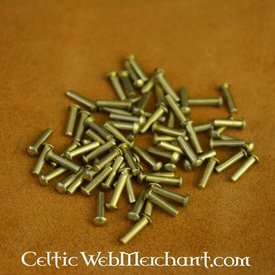 Our replica has a leather chin strap for fastening, just like the original. 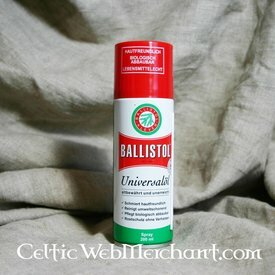 Besides the leather clothing of the spectacles and the leather inlay provide extra wearing comfort. 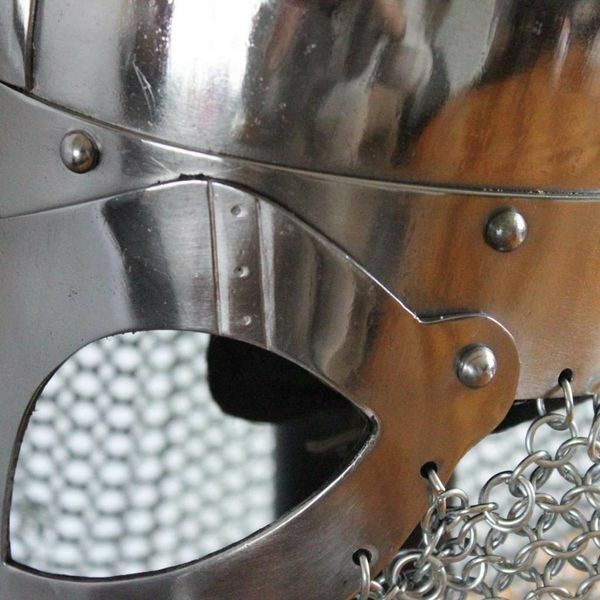 The steel rings of the chainmail are galvanized. 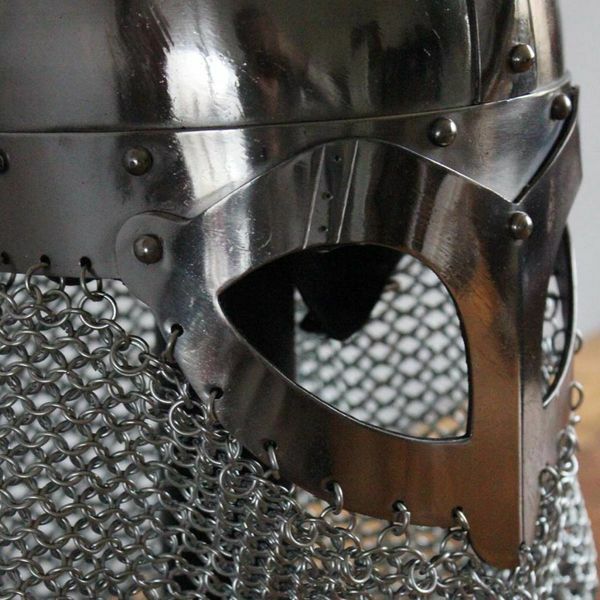 The helmet is made of 2 mm thick steel and weighs 4,3 kg. 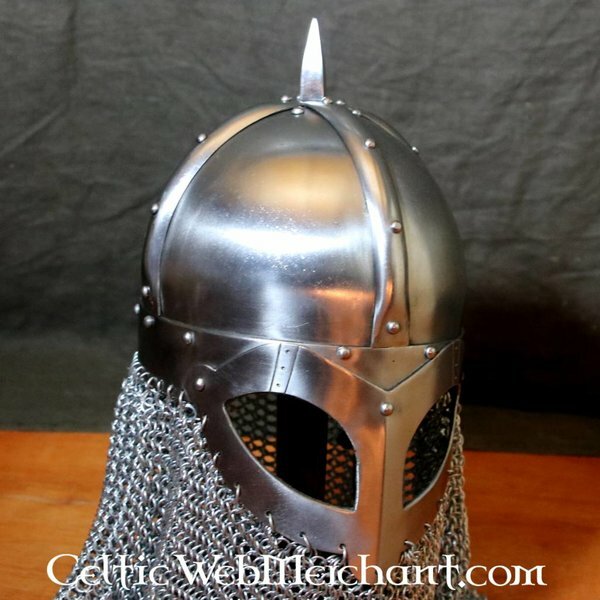 It is suitable for a head circumference up to 62 cm.